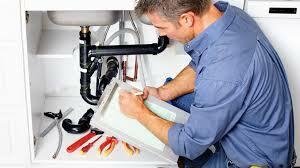 Full Range of Plumbing Services. 24/7 Callout. Prompt Service. Experienced & Trusted. Is your toilet overflowing, you have a burst pipe and water is everywhere? Are you panicking and wondering, what plumber to call? 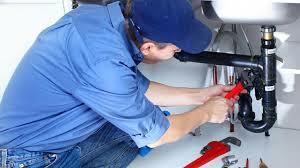 The best option in such a situation is to contact Emergency Plumbers London. Our service will provide access to our reliable emergency plumbers, who will arrive within the hour and solve the problem, whether it is a leaking toilet or burst pipe. With years of experience and an emphasis on customer service, our plumber will come up with a solution to end this horrible situation. Emergencies don’t come with warnings, and can be a shock any property owner. By going with our team, you are assuring yourself the problem will not get out of hand. Here is why our team is the right fit. What do we offer regarding the plumbing options? There are multiple services included for clients who are calling in. These services would revolve around heating, bathroom plumbing, leaks, burst water pipes, boiler replacements, boiler repairs, drain cleaning, frozen water pipe repairs, and bathroom plumbing. These are just a few of many plumbing issues our specialists are trained to find the root cause of your problem. What makes our team better than anyone else you are going to find in London comes down to being reliable, prompt and having great customer service. We will not leave you waiting around when an emergency is taking place. Would you like to wait around when you need an ambulance? Well, in the same manner, you won’t want to wait around for a plumbing specialist when you have an emergency either. Call us and we will be prompt in our response. Our team is trained to remain courteous with all of our clients because that is what you require during an emergency. You don’t deserve to have someone speak to you rudely and not treat you in the manner that is appropriate. With our customer service standards, we have set out for all staff, you will never have to worry about how we are communicating with you. Customer Service is something we do pay attention to and make sure we always follow through; the emergency does not stop us from being helpful at all times. An emergency can transpire at any point during the day, and you will require 24/7 assistance. Our team are prepared to help at any time of the day. You can call out of hours, and our one of our plumbers will come immediately. Do not rely on those who are unavailable during your time of need. Contact us and you never have to look at the clock with us. To eradicate any plumbing concerns inside your property, please have a chat with our team as soon as possible. There is no reason to rely on amateurs when it comes to such a troublesome situation. Go with a trusted plumbing company in London that will help you every step of the way and make sure your plumbing problem is fixed. Thank for solving my WC overflow issue. From the minute your plumber identified the problem he was at work. 15 minutes later problem solved . Thank you again.